Last weekend was yet another moment where I had the opportunity to break out of my “I can’t do that because…” mentality. My heart has been craving a good hike for months now, but I live in one of the flattest states in the country. 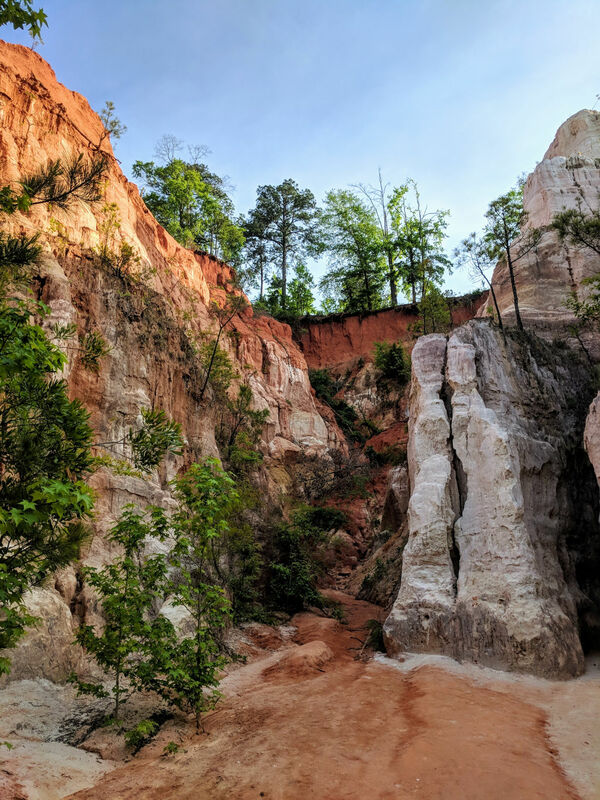 Don’t get me wrong, I love the outdoor adventures that Florida has to offer, but sometimes you just want a hike with some elevation and variety. There were even more parameters that I added on to this list, but I won’t bore you with the details. The point is, I started with “I can’t because…” and nothing I landed on was resonating with me. 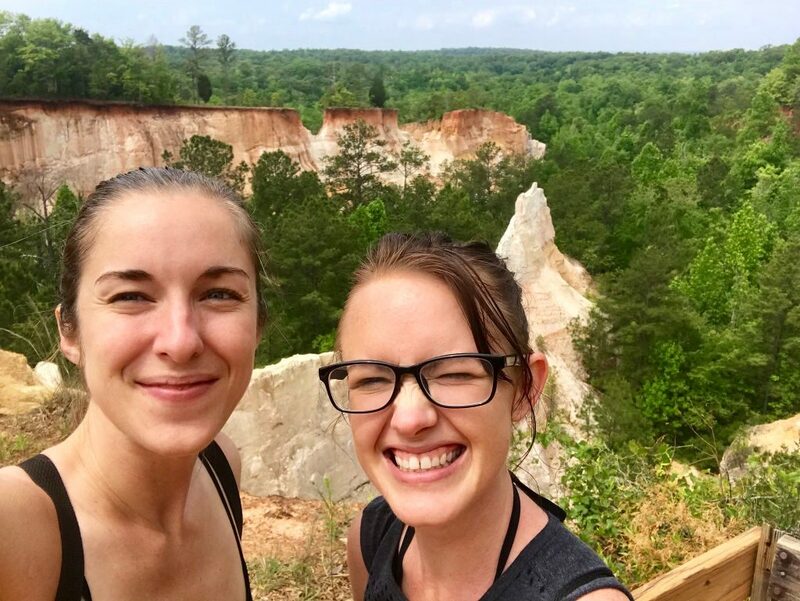 I quickly researched Georgia State Parks, found one that I could easily drive to and back from in 2 days, booked an Airbnb for Friday night, and convinced my friend Brittany to join me. It was a bit of a last minute plan, but so invigorating! 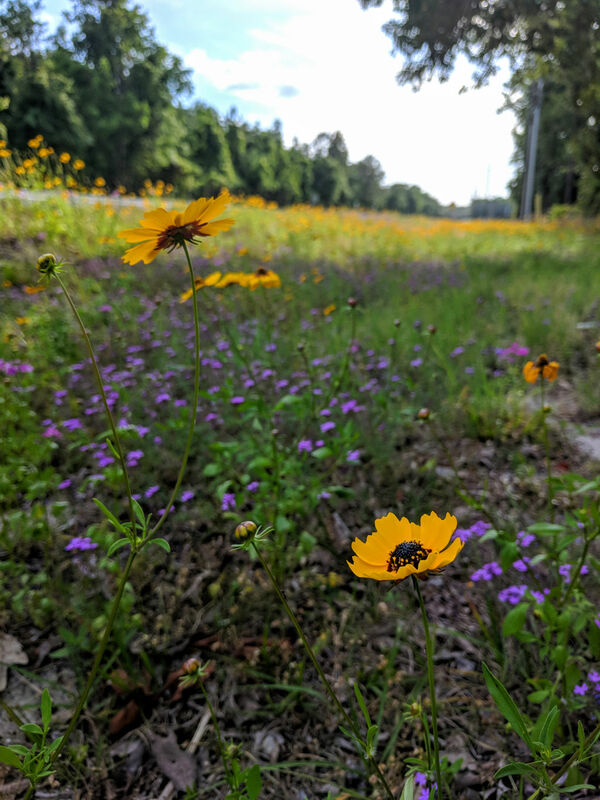 Spring in the South is a wonderful time for a road trip because wildflowers littered our entire drive, which I really appreciated since we were in the car a lot over the course of 2 days. I probably drove more last weekend then I have all year combined (as Grant is an angel and usually drives since he knows it’s not my fave). I don’t think Brittany’s daughters really thought we actually hiked since every time they Facetimed us, we were in the car. But the day we had on Saturday was totally worth it! 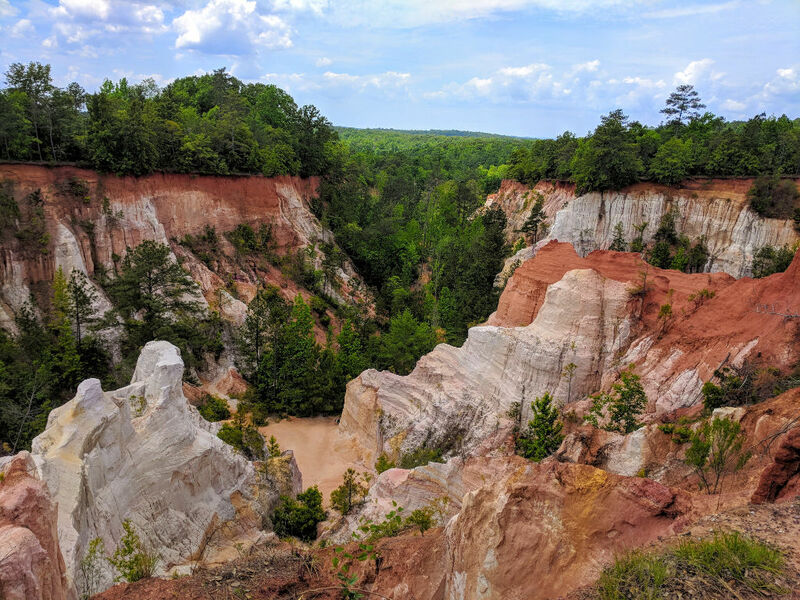 Most people don’t know that there are actually canyons in Georgia because geologically it doesn’t really make sense. But these canyons are a bit different from the canyons in Arizona and Utah. Poor agricultural practices in the 1800’s created these 150ft gullies which remain slightly unstable even to this day. 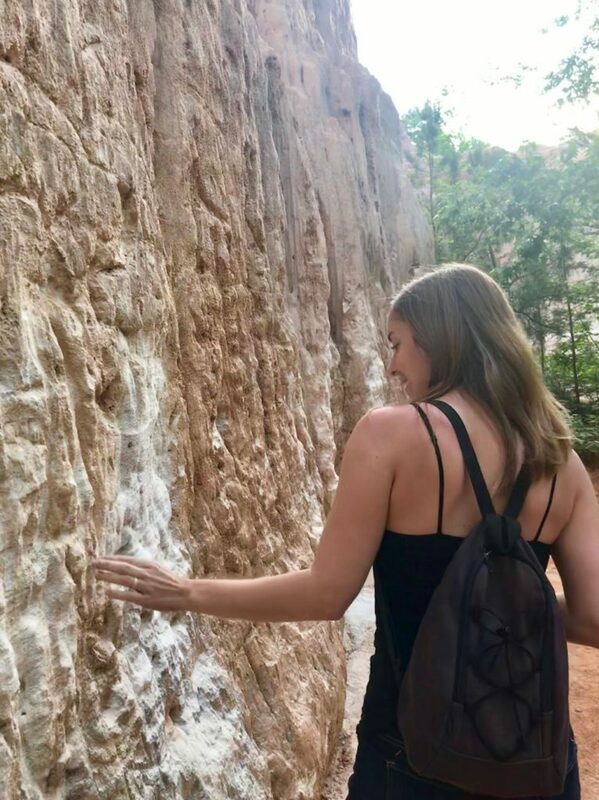 There are signs all along the canyons that warn visitors not to climb on or go to the edge of the canyon walls, as they could collapse even more at any moment. We arrived at the park around 8am. 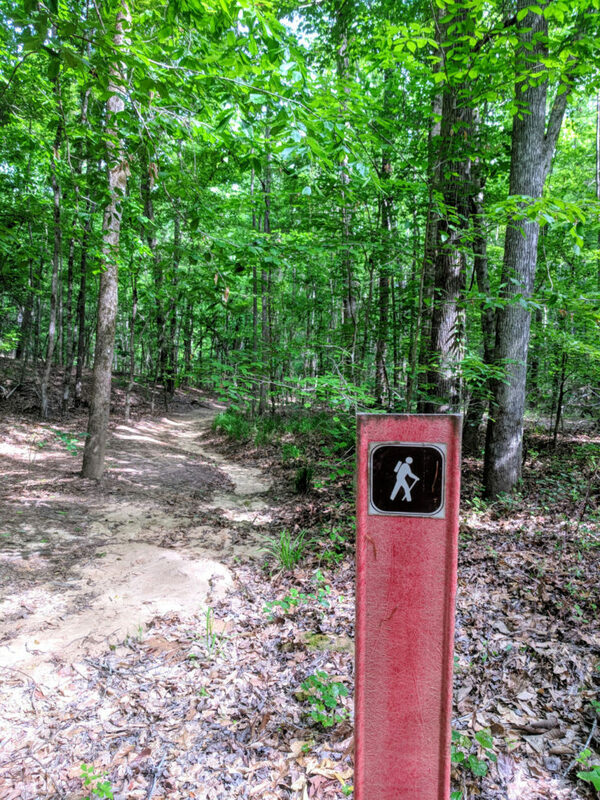 If you ever want to hike at a popular state park I would suggest getting there as close to opening as possible (especially when the weather is nice). There were only 2 other small groups there at that point so we didn’t have to deal with noisy crowds and we could actually enjoy the natural beauty. 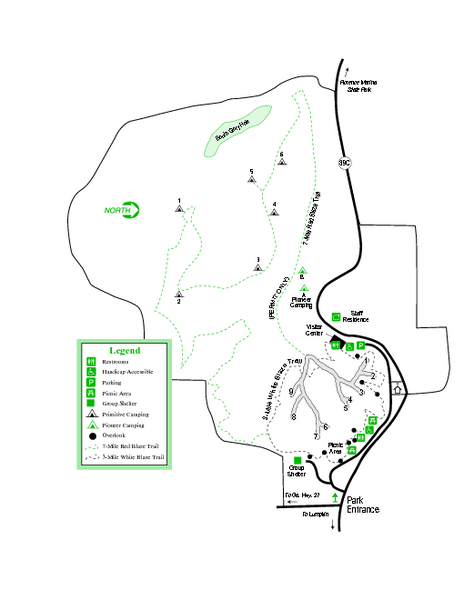 There are 3 possible hikes you can enjoy at the park depending on your time and energy level that day. It’s an easy hike down to the Canyons from the visitor center where you can then meander through the canyons at your pace. We spent about an hour walking, taking pictures, standing in awe and appreciating the beautiful ecosystem this accidental canyon created. 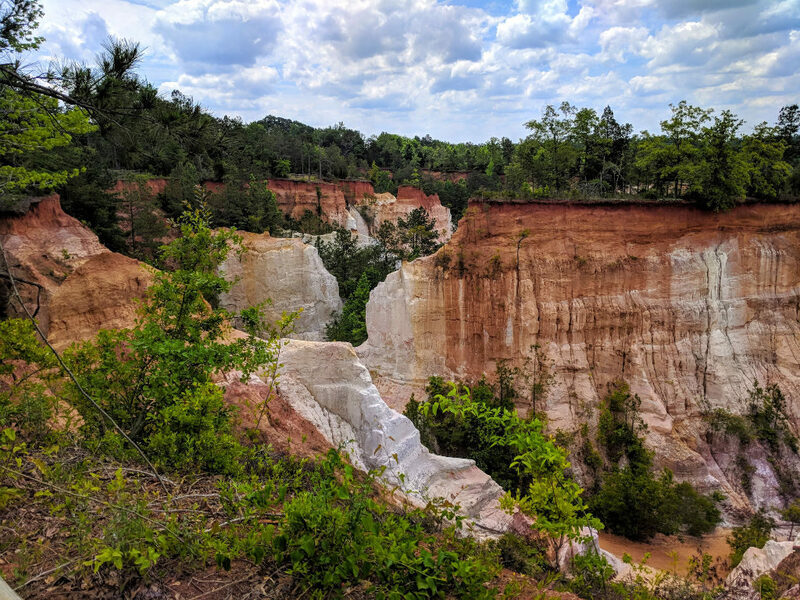 If you have a little more time, you can add to your exploration of Canyons 1-9 and experience beautiful views of the canyons from this trail that loops around the edge. And finally, if you want to get the most out of what the park has to offer, add on the Backcountry Trail. 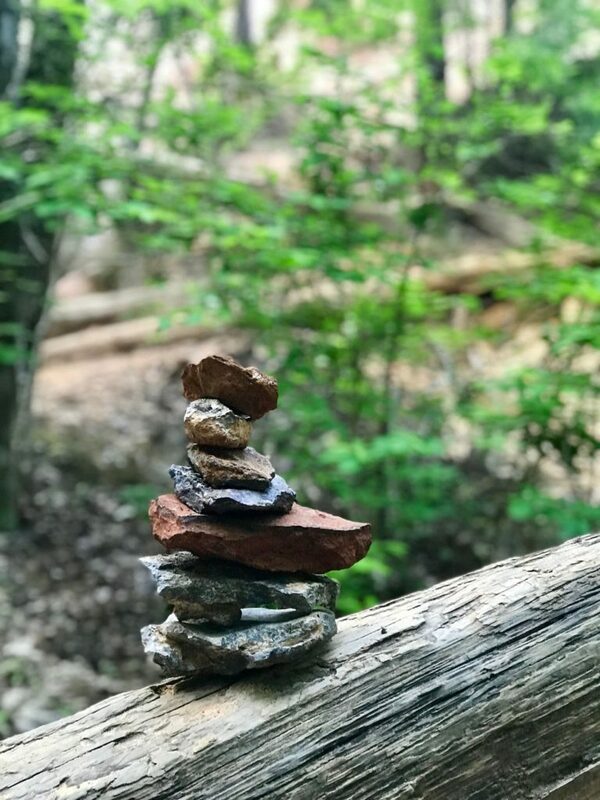 This trail takes you through the forest, up and down some steep grades and is generally a quiet, rugged hike that will get your heart pumping while putting you completely at peace. Luckily I was with a fellow adventurer so we did it all (totaling about 8 miles) in about 4.5 hours and we had a blast! The hike is everything I wanted it to be. Fresh air, elevation, beautiful red/orange canyons and bright green forest. 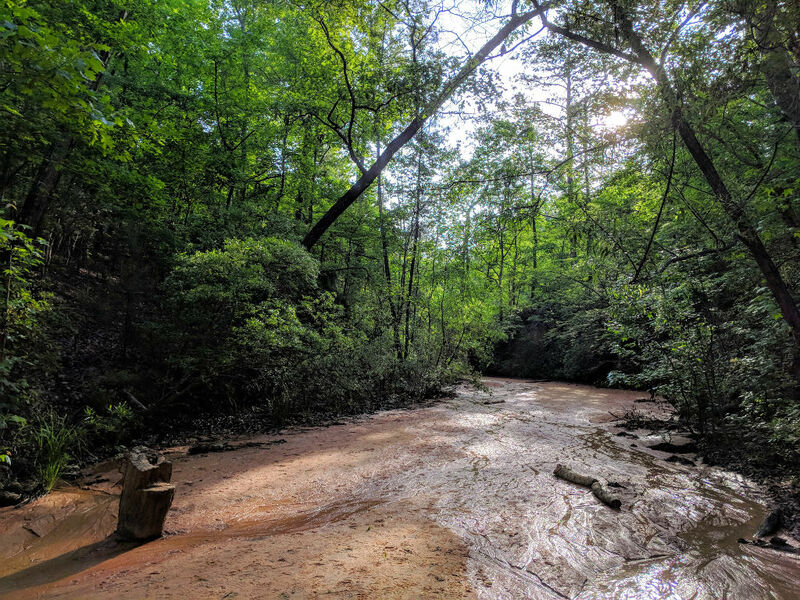 Highly recommend this park to anyone traveling through Georgia! Go to the Georgia State Parks website for more details. 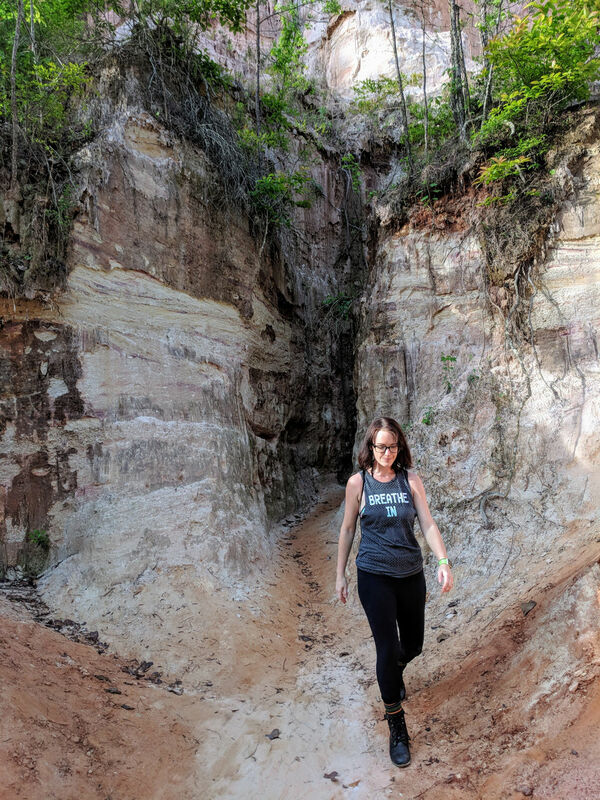 As we were hiking through the canyons in Georgia I casually mentioned, “We should stop by a spring on our way home.” And Brittany was all about it! (I just love this girl!). 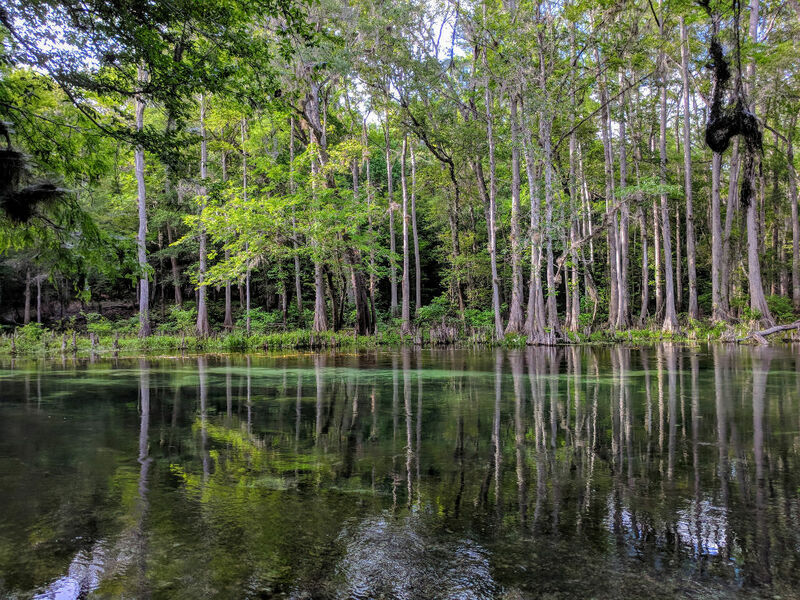 So we quickly found a spring 20 minutes off the interstate and headed to the crystal clear waters of Ichetucknee Springs State Park. Once we arrived at the South Entrance we realized we were at the wrong entrance to swim in the spring, but it was too late in the day to change plans at this point, so we thought we would at least try to swim in the river. As we parked the car we then realized that everyone was returning their tubes and leaving for the day and the gate to the river said it was closed. But this gate was a simple wooden gate that was really easy to walk around when no one was looking ;), so we pressed on towards the river! The river was cold, clear and perfectly refreshing. We were able to swim alone for about 20 minutes, soaking in the beauty of the present moment and in awe that this was the ending to an already perfect day. 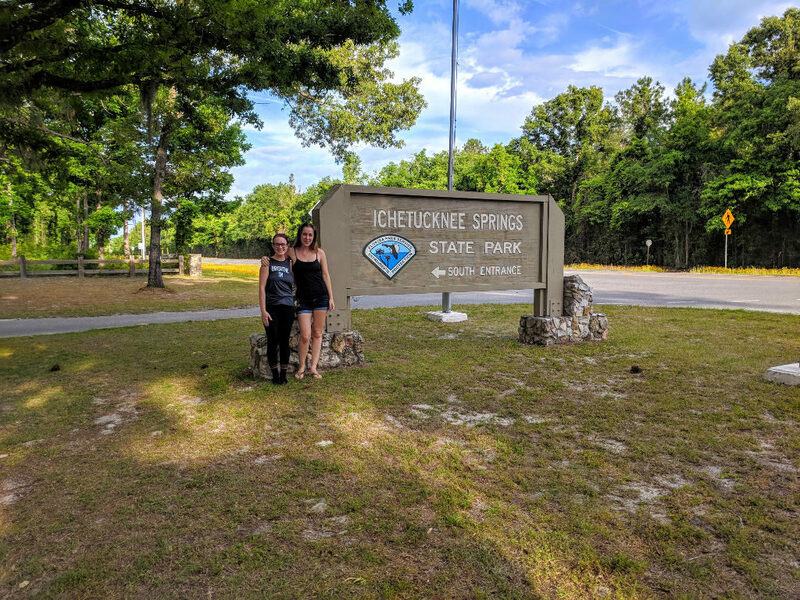 Go to the Florida State Parks website for more details. This trip was one I will never forget. I encourage you all to watch for the moments where you start your plans with “I can’t because…” and change your mindset to “How can I make my true desire happen?” Don’t force yourself into a box. Know yourself and what you want, and don’t settle for less! This looks amazing! Great pics! This will be a cool place for me to take my Aunt when I go next time to visit!